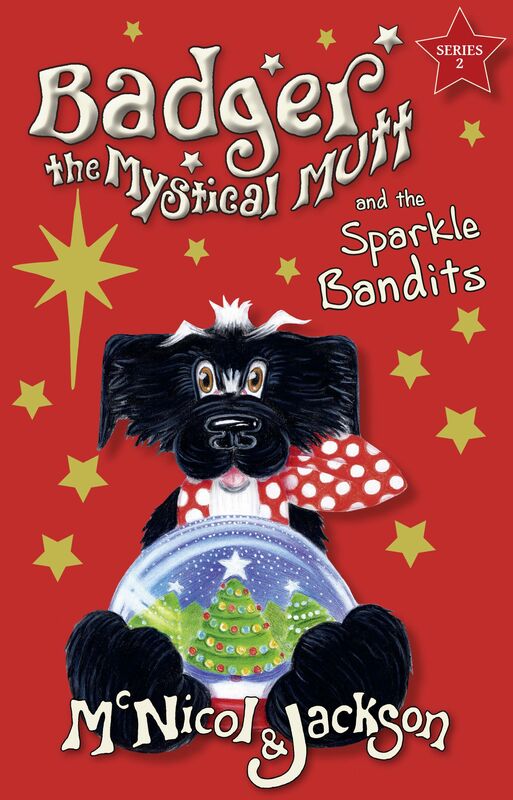 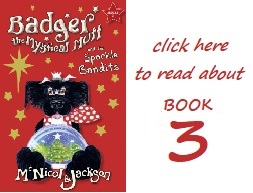 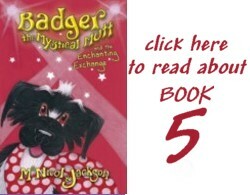 Order a signed copy of Badger's brand new book, the third in the second series of Badgical Magical stories! 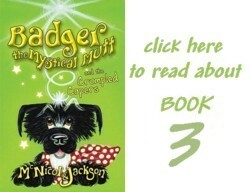 To order paperback Badger books, click on the Add to Cart buttons below. 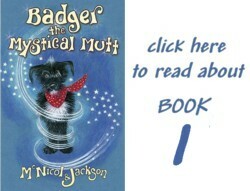 Your order and card payment will be processed by PayPal. 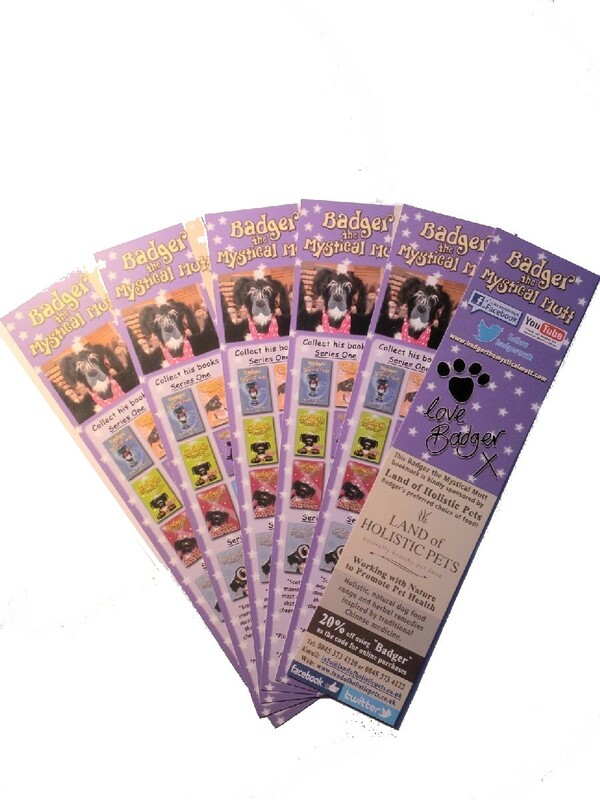 All website orders will receive a free Badger bookmark, kindly sponsored by Land of Holistic Pets. 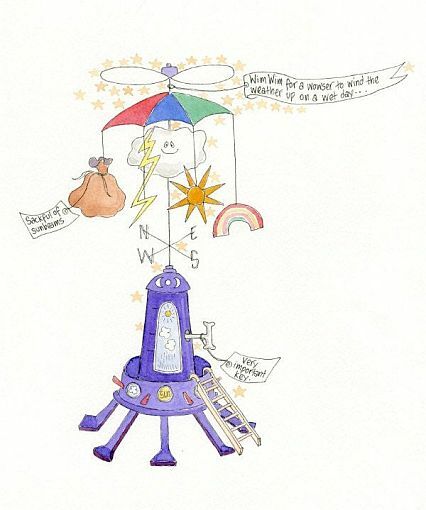 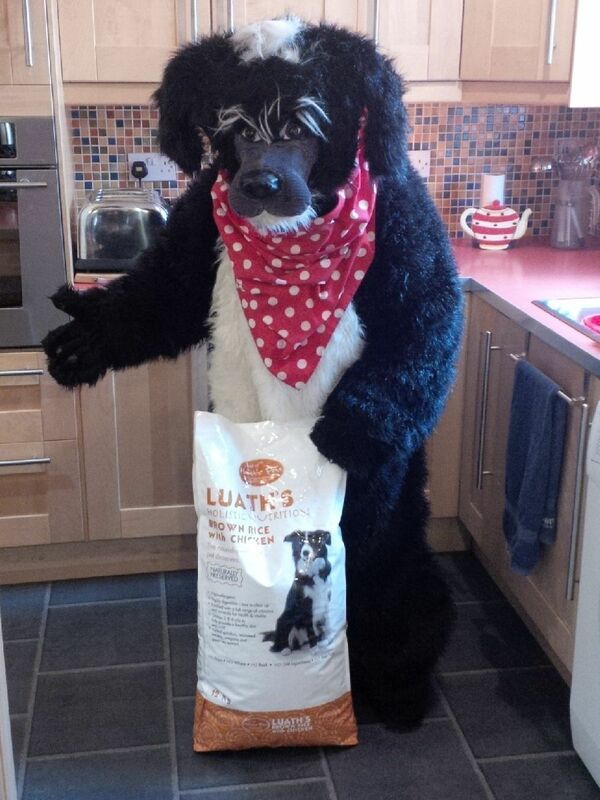 We also accept email orders and personal cheques: please contact us at info@lunicorn.com. 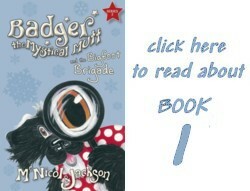 You can order copies of Badger to be sent to any address in the UK, mainland Europe or the rest of the world. 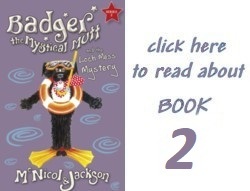 Please note: an order containing multiple copies will be dispatched to a single address. 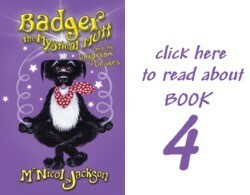 You can also download the ebook of book 1 from Amazon, Apple iTunes, Kobo and Waterstones. 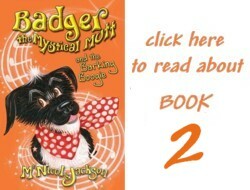 If you'd like to take advantage of free postage with our p-books then click on Waterstones.com. 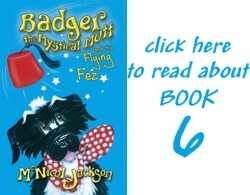 Please note an airmail surcharge is included for orders posted to the Republic of Ireland and the rest of Europe (£1 per copy) and to the rest of the world (£2 per copy).